Quick overview Experience the next generation of chassis design! 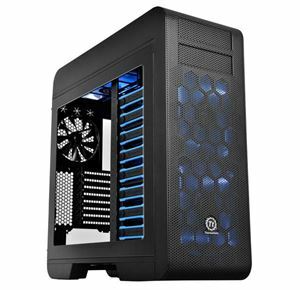 Thermaltake has introduced a new concept for more versatility and adaptability to any configuration. The Core V71 full-tower E-ATX case gives PC enthusiasts flexible installation options and seamless operation. Users can keep their systems cool by modifying the chassis for superior liquid cooling or superb airflow. This new chassis is the ultimate powerhouse suitable for any type of PC enthusiast - no matter liquid cooling or extreme airflow.